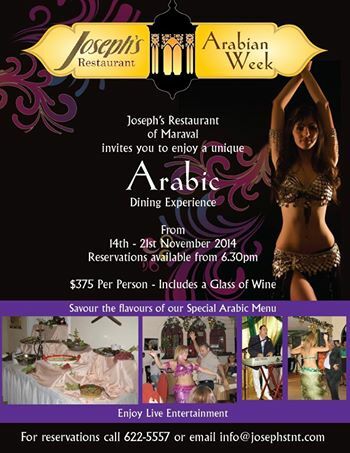 Friday, 14th November through Friday, 21st November, ARABIAN WEEK at JOSEPH’S RESTAURANT (Maraval, Trinidad). Joseph’s Restaurant is hosting an Arabian Week dinner buffet special from with live entertainment. $375 per person includes a glass of wine. Reservations (868) 622-5557 or info@josephstnt.com. 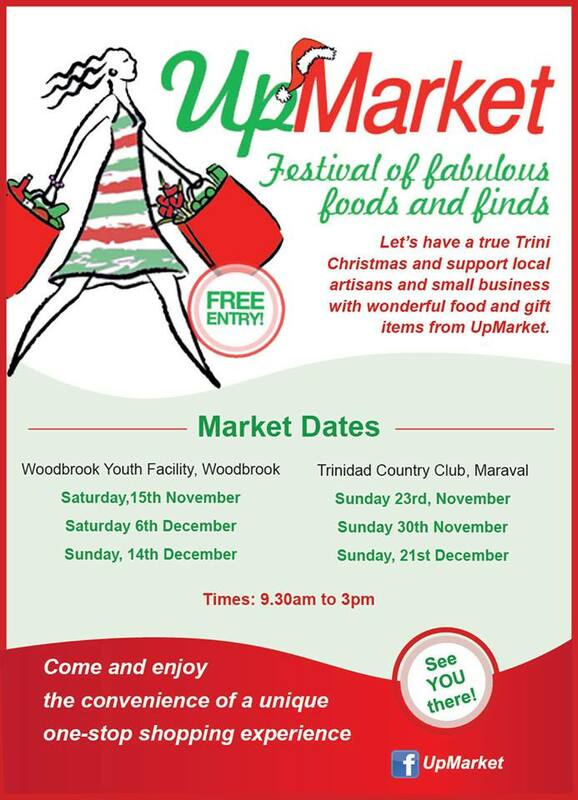 Link to flyer. 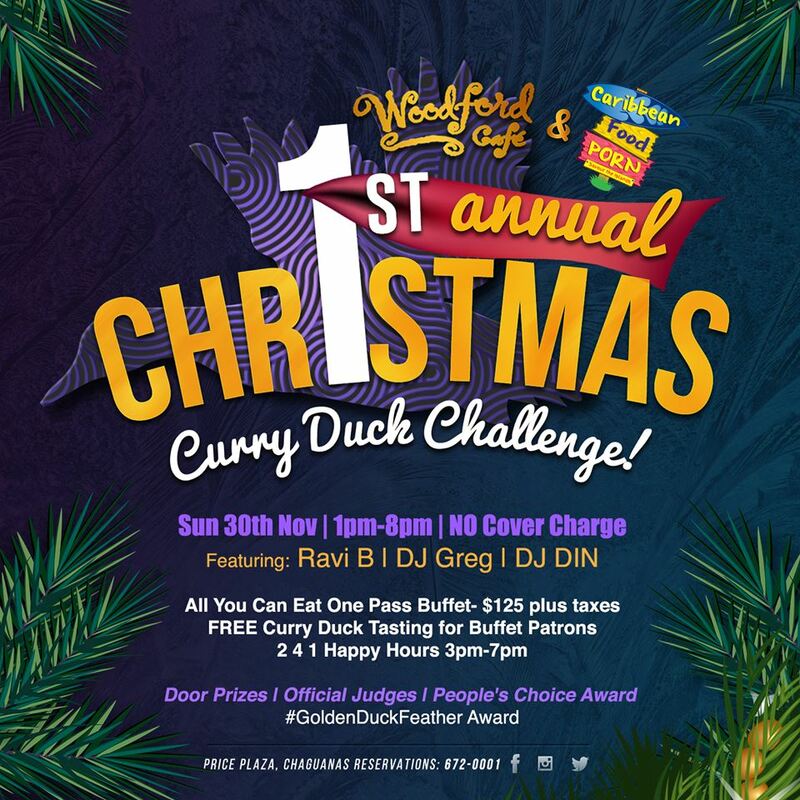 Sunday, 30th November, 3pm-7pm, CHRISTMAS CURRY DUCK CHALLENGE at Woodford Cafe (Chaguanas, Trinidad). All You Can Eat One Pass Buffet $125 plus taxes, FREE Curry Duck Tasting for Buffet Patrons, 241 Happy Hours, Door Prizes- Official Judges- People’s Choice Award. Link to flyer. 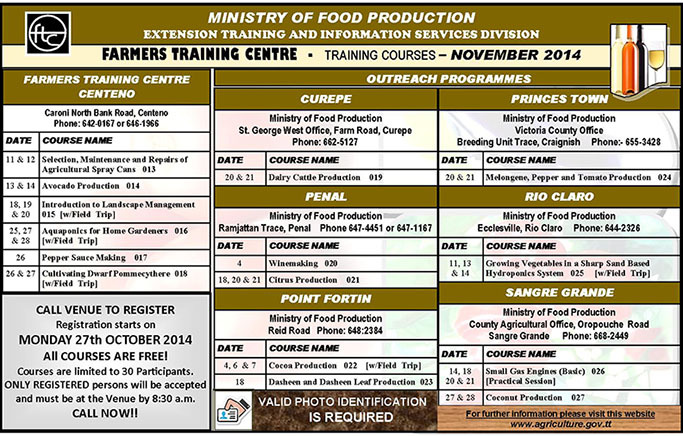 FREE FOOD-RELATED & AGRICULTURE CLASSES IN TRINIDAD: Ministry of Food Production Farmers Training Centre’s TRAINING COURSES: Classes include Home Gardening; Avocado Production; Citrus Production; Cocoa Production; Winemaking, Pepper Sauce Making and more. 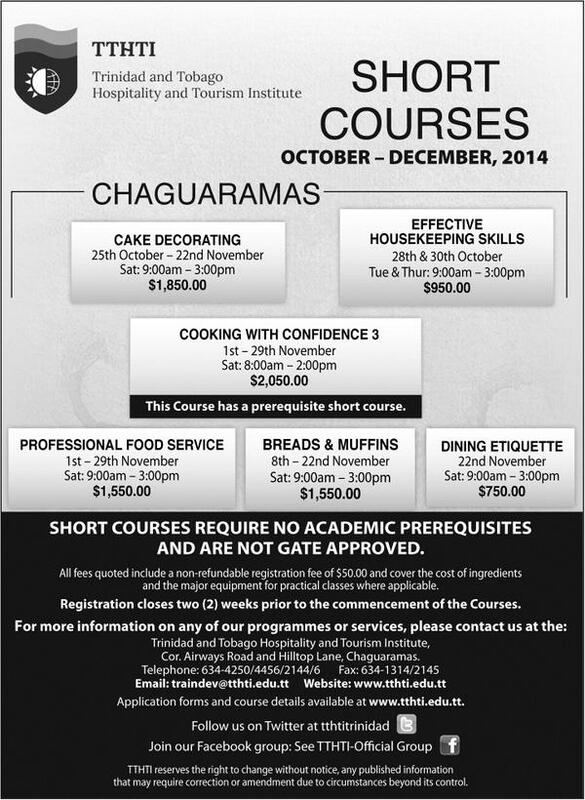 This month’s classes are offered in Centeno, Curepe, Penal, Point Fortin, Princes Town, Rio Claro and Sangre Grande. Link to NOVEMBER schedule. FREE!